The Santa Rosa County Economic Development Office has been selected as the Regional Resource Partner of the Year by the Florida Small Business Development Center (SBDC) Network. This award is given to the partner believed to have made the greatest impact with respect to contributions to the Florida SBDC at UWF region. "Our partnership with Kelly and his team at the Small Business Development Center has increased the SBDC's outreach to Santa Rosa County residents allowing them to take further advantage of the tremendous resources available through the SBDC network," said Shannon Ogletree, director of the Santa Rosa Economic Development Office. "These resources will help our residents to start/grow their business to become a budding success." "Over the past 40 years, Florida SBDCs have consulted more than 1.1 million aspiring and established businesses and contributed to a long history of job creation and positive economic impact in Florida. At the root of this success is partnerships. Through partnerships, we increase our impact, improve our communities and create more jobs for Florida families," said Michael Myhre, SBDC Florida CEO and Network State Director. 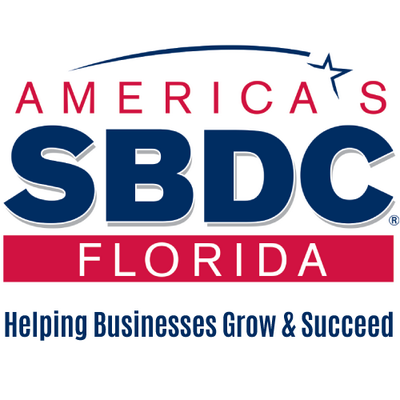 For information on the Florida SBDC at UWF, visit: www.sbdc.uwf.edu.